Desc: Landstrom's Black Hills Gold Sterling Silver wolf's head on a Sterling Silver disc. The wolf is howling. 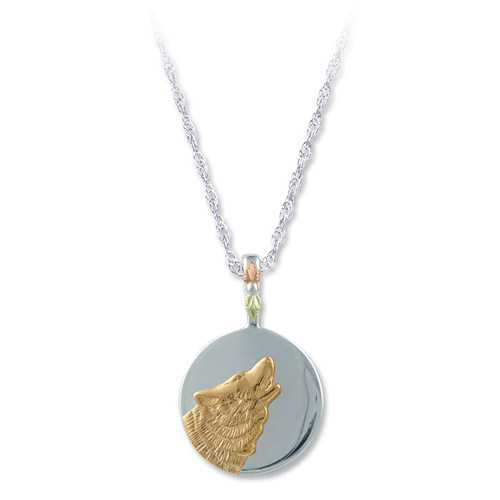 The wolf head is yellow gold against a silver disc. Rose and green gold leaves are mounted as accents. This necklace is made in the United States of America.